Moving to LA? Choose the best neighborhood! Just thinking of moving to LA is super exciting. Almost year-round sunny weather, world-class cuisine within your reach and the perfect mixture of urban aesthetics and beach settings could be some of the reasons you’re considering relocating to La La Land. Los Angeles is rich in culture, history, diversity, and architecture. Whether you’re an outdoorsy person, a parent with children or you just love to party and shop, we assure you – LA has it all. Avoiding common moving mistakes and choosing the best area is a job half done. Keep on reading, and learn all there is about moving to LA! LA is one of the sunniest cities in the US. However, given that the Big Orange (LA’s nickname) is actually made out of diverse neighborhoods, finding the best one requires some advice. Each LA borough has something unique to offer. Therefore, we suggest you go through the following checklist and see which area suits your lifestyle. What follows is a general overview of some of the best known LA areas, as well as some pro and con guidance for a better orientation. Moving to LA checklist: which area is right for me? Parking. – Planning to get around predominantly by car? Be sure that your new residence offers a parking spot as in some parts of LA finding a spot can be quite a nightmare. Public schools. – If you’re moving to LA with children, it is of utmost importance to pick out a great school district. Singles or family areas. – Notwithstanding the popular nightlife scene ideal for students and singles, LA boasts some family-friendly areas as well. Walking and/or jogging. – This implies issues of safety and the terrain surrounding your home. Is this a neighborhood that lends itself to physical activities? Accessibility. – Do you have an elderly person in your household or someone with special medical needs? It would be advisable to avoid hilly areas or at least make sure those are equipped with wheelchair ramps. There are countless aspects to take into consideration when choosing the best neighborhood in Los Angeles, so let’s move on with some real examples. What are the most popular boroughs in LA? What are the pros and cons of moving to these LA areas? Being one of the most famous LA areas, Beverly Hills shouldn’t surprise by its costly living. It prides itself on some of the most reputable and acclaimed restaurants. Nonetheless, it’s known for great schools as well. For: Excellent schools; well-kept area; a lot of parking spots available for one or two hours. Against: High costs of living. Brentwood is also one of the most expensive residential areas in LA. However, it’s more intended for a family than for a student hungry for fun. For: You can easily access beaches via Sunset; excellent school district; wonderful, immaculate area; suited for families. Reportedly Hancock Park is getting more and more popular. Although you should bear in mind you will need a car in order to do some shopping or go to a restaurant. Just from reading Hollywood, images of actors and cinema settings pop in your head, don’t they? 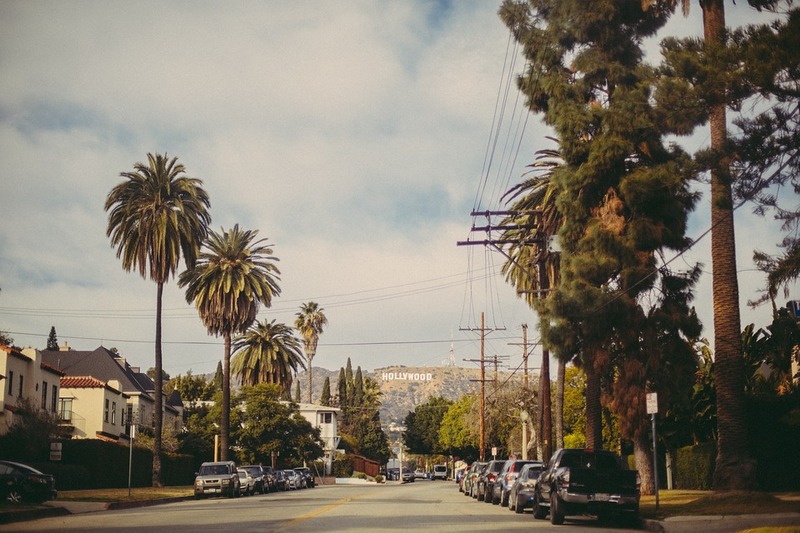 Hollywood may be a touristy place, but it can also offer a lot to potential residents. Moving to LA usually means great nightlife. For: Historic landmarks, captivating bungalows, wonderful houses. An array of ethnic and stylish restaurants. Against: Some parts are known for criminal activities. The rush hour isn’t reserved just for daytime, it occurs by night as well. If you appreciate a well-developed sense of community, then you might just take into account Manhattan Beach. Unless you’re moving from Manhattan and feeling a bit nostalgic. This is the right choice for bikers, walkers and business people traveling frequently. For: A great sense of togetherness; near the airport; small-town vibe; made out of small boroughs; a perfect fit for walkers, pedestrians, bikers. Against: It tends to be packed with tourists, especially during the summer season. Being close to the airport could also be a disadvantage due to constant noise. Arguably the cleanest area of Los Angeles City. For: Near the beaches (Malibu also), appropriate for walkers and pedestrians, shopping mall lovers. A decent school district, for both singles and families, with a slight singles prevalence. Against: Nightlife oriented to Irish bars and pubs, not as glamorous as Hollywood; infamously bad traffic. For: Ideal for people moving to LA in search of a good night sleep, as it has almost no nightlife noise. The Valley tends to a suburban charm. Against: Summers can be unbearably hot. Separated by the Hollywood Hills from the rest of LA, so you may lack the impression of actually residing in LA. For those of you who don’t require much space, Venice could be the right place for you. For: Captivating canals, beaches within walking distance; eclectic, Bohemian and eccentric. A loose sense of community, known for historic landmarks. Against: Size-price ratio can be unsatisfactory. Sunny days in LA end with beautiful sunsets. For: One of the central spots of the city, near BH and other areas such as Miracle Mile, Hollywood, the Valley and other. Bicycle infrastructure, pretty easily manageable by foot, filled with restaurants and shops. Against: Extreme noise due to night activities; awful parking conditions. All in all, living in LA is full of advantages. Moving to LA can be a life-changing decision, especially if you’re changing the climate. Nonetheless, whatever the neighborhood you opt for, you won’t make a mistake. Life is wonderful in sunny California. Enjoy it to the fullest! 0 responses on "Moving to LA? Choose the best neighborhood!"